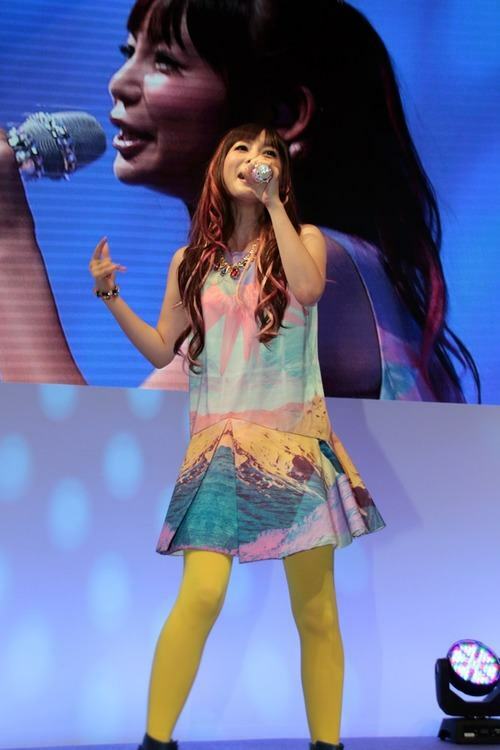 Shoko Nakagawa is a Japanese tarento (media personality), actress, voice actress, illustrator, and singer. 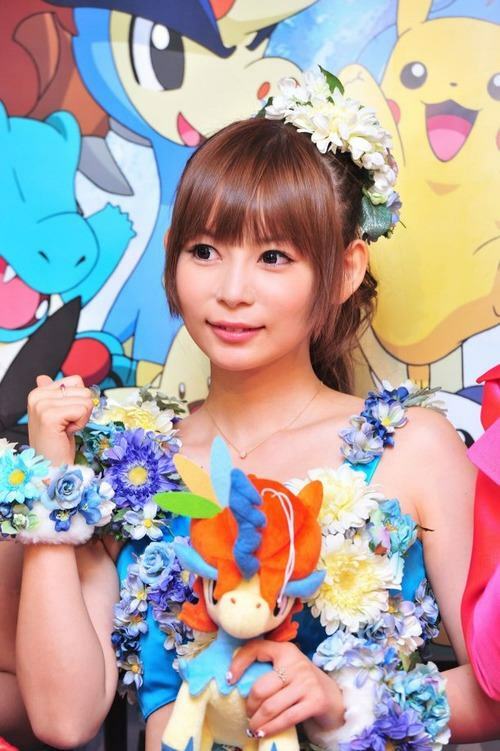 Also known by her nickname Shokotan (しょこたん), she is best known as the presenter of Pokémon Sunday. Born to actor and musician Katsuhiko Nakagawa, a celebrity in Japan in the 1980s, she was raised by her mother in Nakano (Katsuhiko Nakagawa died in 1994). In the 2006 book Shokotan Manual (しょこ☆まにゅ Shoko Manyu), she wrote that her legal name was Shiyōko (しようこ) rather than Shōko (しょうこ), which she had been using for most of her life. At the time of her birth, she and her mother had to remain in the hospital, and her maternal aunt was left with registering her in the koseki. When her mother’s intended name of “Shōko” (薔子) was declined due to 薔 being forbidden due to Japanese law, the aunt wrote the name down in hiragana and recorded her name with a large yo rather than its smaller combining form. She made her entertainment debut in 2001, winning the Grand Prix award at the Popolo Girl Audition and representing the Jackie Chantalent agency. Later, on the “Yume-Ga-Oka Residence” programme on SKY PerfecTV!, she was given a Jackie Chan photobook by Midorikawa Shobō, who were guests on the show. She commented “I thought he was an enemy of Bruce Lee’s”, apparently referring to Enter the Dragon. In 2002, she was chosen as Miss Shōnen Magazine. She appeared in a brief section of “Kangaeru Hito” (“People who think”) on the Fuji TV network in 2004 as an illustrator, after which she appeared regularly on the later version of the programme which started with minor changes in early 2005, “Kangaeru Hitokoma” (“Thinking about one frame [of a cartoon strip]”). 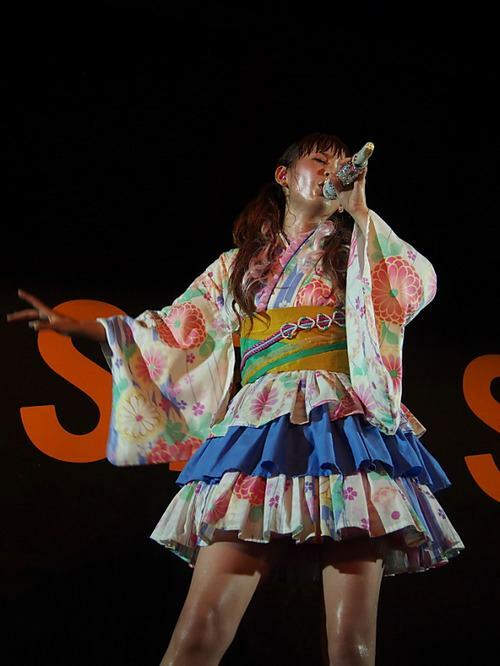 For one year starting in May 2005, she appeared as a regular on the TBS programme “Ōsama no Brunch”.In July 2006, she released her debut single “Brilliant Dream”. It entered the Oricon chart at number 29, with initial sales of 6313 copies. Nakagawa performed at Anime Expo 2008 at the Los Angeles Convention Center. In 2004, she made a guest appearance in the 38th episode of Tokusou Sentai Dekaranger, after having previously appeared as a child in Chikyuu Sentai Fiveman.She later appeared with Katsumura on Men B. On theFuji TV show Kangaeru Hitokoma, on which she is an occasional guest, she drew in the style of Kazuo Umezu. Some of her work was shown on the May 11, 2006 edition of Downtown Deluxe on the Nippon TV network, She was a member of the judging panel in the “Jump Damashii” section of the Shūeisha publication Weekly Shōnen Jump, starting from Jump number 13 of 2006. On the May 30, 2006 airing of Kasupe!, in the section entitled Fuji Ginkō Geinōjin Satei-Gakari (フジ銀行 芸能人査定係), “Fuji Bank Celebrity Evaluator”, it was discovered that she liked the manga Kachō Shima Kōsaku, eliciting a comment from the host, Sayaka Aoki, that she had pretty “grown-up tastes”. In 2009, she appeared in a series of commercials for Norton AntiVirus.